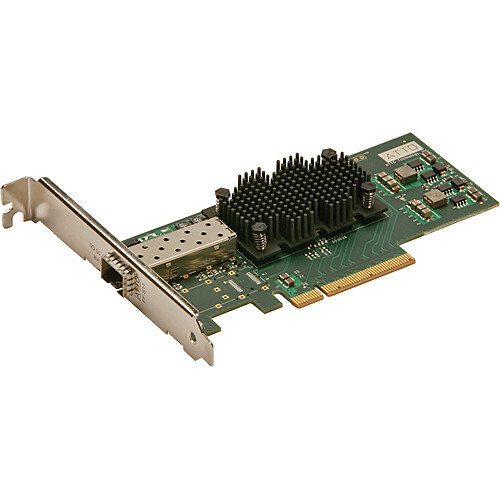 The FastFrame NS11 Single-Port 10 GbE PCIe 2.0 Network Adapter from ATTO Technology conserves PCI slots for a more flexible system design, while drawing less power than competing solutions. A lower power rating means lower energy costs, lower data center maintenance fees, and fewer worries about heat dissipation. This high-performance adapter includes a pluggable optical SFP+ tranceiver and support for direct attach copper cables. Box Dimensions (LxWxH) 9.9 x 7.3 x 1.8"